The marketing e-mail with 5 mistakes in it that got sent will generate more sales than the near perfect one that just needs a little tweak to achieve perfection but is still sitting in the drafts folder. 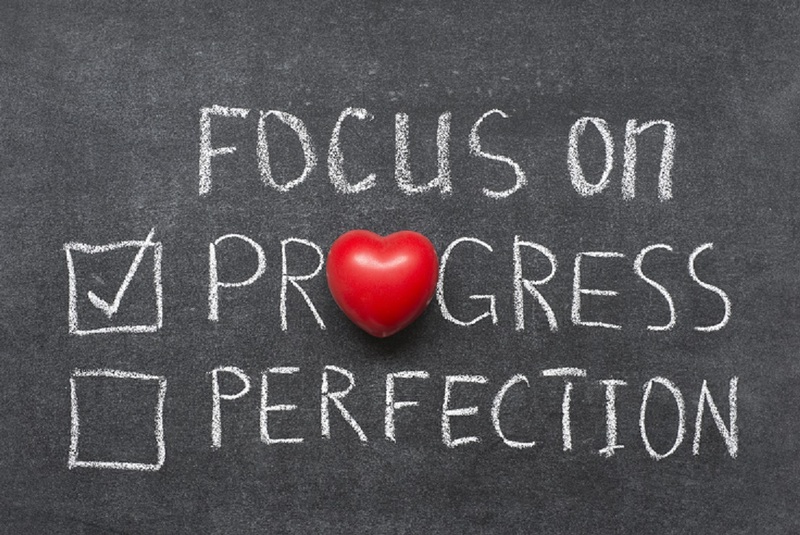 We often agonise over whether something is right because the perfectionist in us takes charge. After all, it’s your business and you don’t want anything to go out if it has errors in it that might make your business look like it doesn’t care about quality, do you? There’s a key word in that last sentence – “might”. There is always going to be someone that picks up the odd typo or grammatical error, but are they likely to be buyers? More importantly, are they going to be the sort of customer you want to deal with if they did buy? You know the sort – nit-picking, always looking for a deal, for something extra, for the freebie. The sort that drain the life out of you and your team for minimal profit – if any once you cost out the time they sap. That’s sorted the main areas for mistakes. So what is really holding you back? In the cartoon, Wally is always progressing half way to delivering and never actually getting there. Now for Wally it’s about work avoidance. He doesn’t want to get found out that he has actually done little or nothing. How about you – what’s holding you back? I’m certain it’s not the same as Wally. You know how hard you’ve worked. You’re not alone. 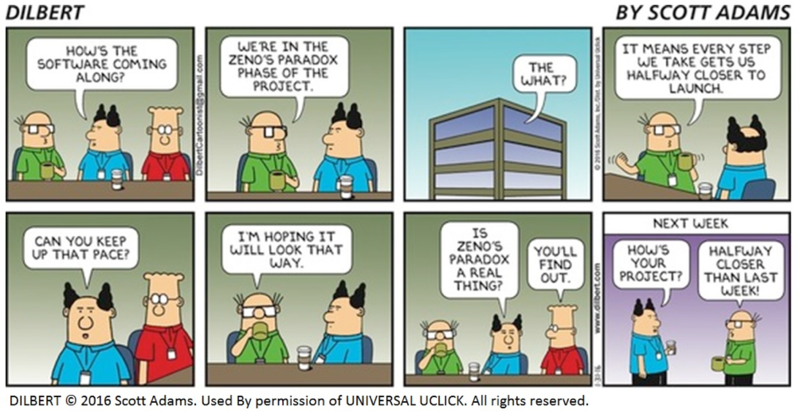 Plenty of entrepreneurs, including me, have been in this situation. You’re concerned that what you have created isn’t good enough. That people won’t want to buy it. That it needs something more. So it sits on the shelf/the hard drive/in the cupboard waiting for perfection. But do you know what. People don’t buy perfection. They buy what they see, what they need. They don’t know it’s not perfect in your eyes, it just does the job for them. So don’t agonise over perfection, get it out there and let the client decide. Ask for feedback and see what extras your clients want. And if it doesn’t sell, then it’s highly unlikely that extra little tweak you were looking for would have made the difference. Better to find out sooner and move on to the next thing. PS Don’t agonise over making changes to your LinkedIn profile. 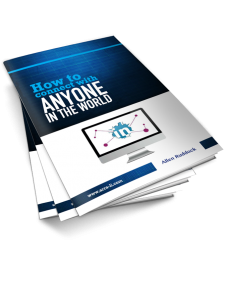 Get my free guides to creating a powerful personal profile and finding and connecting in the right way with your ideal prospects and get those changes done and out there today!. Down load the guides now. Your products could be useful to so many people. It could be that you could help anyone with your service. But how do you create the perfect marketing message to get one of them to buy? But how do you create the perfect marketing message to get one of them to buy? That’s right, you have to market to one of them. One person at a time. On 31st January Sir Terry Wogan died. He was a legendary broadcaster on the UK’s BBC both on TV but more importantly on radio. 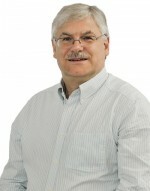 He hosted the breakfast show on Radio 2 for two stints spanning 30 years. In one of the many eulogies to him a follow broadcaster recounted a conversation when he asked Sir Terry how many people he pictured himself broadcasting to when on air. At the time he regularly achieved 9 million listeners. Sire Terry replied “just one”. The key to Sir Terry’s success on the breakfast show was that he made every listener feel special. As if they were in a private conversation with him, one to one. That was his gift, his knack. target clients. 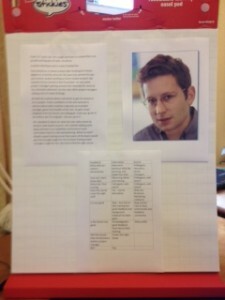 His ‘profile’ is pasted on a flip chart beside my laptop. Even as I write this blog post I am picturing in my mind’s eye you reading it at your PC or on your mobile. As if we were sat opposite on the train I am on and I am explaining to you how powerful that conversation can be. So you really need to understand who you are marketing to. Your products and services may well be relevant to many different people but each of them is special. If you were a weight loss coach your message to a woman looking to regain her pre-pregnancy figure will be very different to the massage to a 55 year old man looking to negate his middle age spread. Your actual service might be the same but your message to sell that service needs to be very different. How can you target what you send or post? If you are writing e-mails, segment your database and send specific campaigns to distinct groups. Perhaps you can split your list up or add tags to do this. If you are looking at Facebook posts, write specifically for individual groups and separately for you broader page posts. If you are using LinkedIn – and if you’re marketing business to business, you really, really should be using LinkedIn – then you can tailor individual messages to individual conversations. That really is a one to one conversation. And with LinkedIn’s search capabilities and groups it is easy to find your ideal prospects. You need to make sure you have a powerful personal profile to provide your prospects with a compelling reason to connect with you. And you have to connect and engage in the right way. But there is no better tool to achieve this for you. So chunk down your target audience into as distinct a group as you can. Then create that picture of the person you are going to have the conversation with. Then be yourself. Just as Sir Terry was, to each individual in his 9 million strong audience. You have a meeting booked with a potential new client. You want to be well prepared so you’ve rehearsed your presentation and your sales pitch. You’ve read and re-read the communications from the prospect and looked at their company website. What more could you do to be better prepared? They have done the same. They’ve looked at your marketing materials and your website. They’ve read and re-read your responses to their communications. Then they have gone the extra mile. 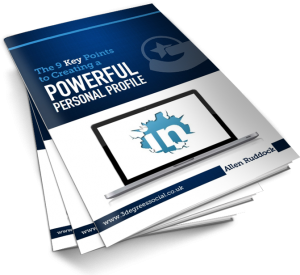 They recognise that with 400 million profiles worldwide (including 20 million in the UK alone) comprising over 50% of the world’s professional workers, any switched on business person will have a LinkedIn profile. So they’ve checked you out. Probably anonymously. They checked out your team and your company profile too. They know all about you. Your professional background, your interests and qualifications. What? Those details are all out of date. There’s nothing about your current business. You only get one chance to make a first impression and you just blew it. And all because you don’t think LinkedIn is useful or important. In today’s business world, LinkedIn is often the first place people will go to find out about you. So whether you like it or not, LinkedIn IS important. You may not want to use LinkedIn to find and connect with potential clients or partners (that could be another trick you are missing) but they will use LinkedIn to find out about you. And if what they find is scrappy, incomplete and out of date, what sort of first impression does that give them of you? What other parts of your business suffer from the same attention deficit – customer service perhaps? OK, maybe they are feeling generous and accept that maybe LinkedIn isn’t your thing. After all there are so many of these social media platforms. We can’t keep them all updated. But you have still missed a HUGE opportunity to create a really POSITIVE first impression.